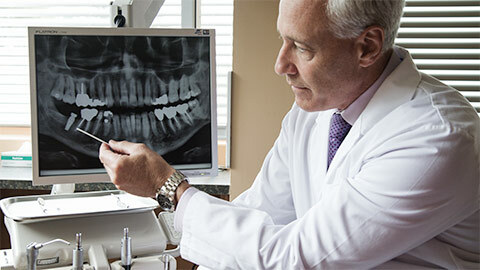 Dental implants can be repaired or restored after damage. If you have missing teeth, dental implants are a winning choice for permanent replacement. 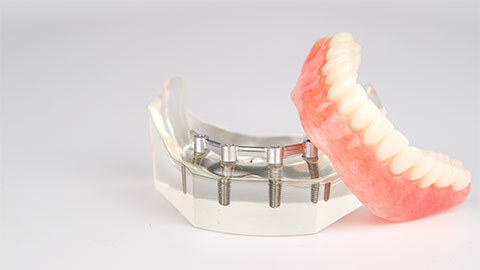 Natural looking and feeling, dental implants are a welcome modern alternative to traditional dentures or plates. A dental implant is a false tooth which is permanently rooted in the jaw with a titanium metal rod. Since it’s set into your jaw like a natural tooth would be, it feels and acts just like the real thing. People who have missing teeth and otherwise healthy gums and bone structure are good candidates for dental implants, and because they are so similar to real teeth, they can even help keep your gums and jaw strong. Dentistry on Kent does not place dental implants, but we do provide a service to restore or repair any existing implants that may have become damaged or worn. We are happy to help you protect your investment in your long-term oral health, and can advise you on the best ways to do so. Your dental implants are just as important as your natural teeth, so when they need work, call Dentistry on Kent. Trust our experienced staff to keep you smiling!